There are three recent developments in the never-ending battle between Apple and Qualcomm. Let’s look at ‘em one at a time. First, billions of dollars in chip supply deals involving the two companies may have actually collapsed over a squabble about software access, rather than the patent fees that sparked a bitter legal battle between the two technology giants, according to the emails seen by Bloomberg. 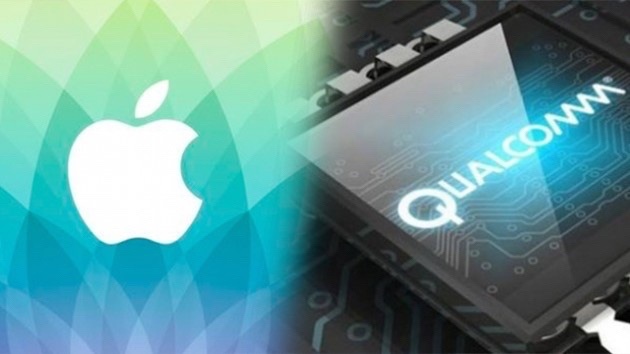 Second, Qualcomm says it needs an extra day before the jury to defend itself against Apple's allegations that it has been overcharging for patent licensing fees. Finally, Qualcomm Inc., which won an iPhone ban in December, has obtained a preliminary injunction stopping its rival from using a statement that Apple distributed to the press in response to the initial ruling. The court said Apple’s release was misleading because the December judgment also ordered Apple to recall the products from resellers, according to a copy of the decision obtained by Bloomberg .